The Langhe hills of Piedmont constitute that area of northern Italy where the wide and flat Pò river valley suddenly disappears and gives way on all sides to hulking and precipitous slopes. The Langhe hills are more than hills. They are ancient and rugged earth. Their narrow peaks are topped by castles, and they are thick to the horizon with grapevines. The Langhe hills are home to a small group of farmers and winemakers who, together, have succeeded in creating some of the planet's finest expressions of place. The Ceretto family is among that fortunate group. For three generations members of the Ceretto family have transformed the fruit of the Langhe's vineyards into wines that speak of the regions identity. The famed Italian gastronome and intellectual Luigi Veronelli wrote, "The land, the land, the land, the land, always, the land." This philosophy is central to the Ceretto family. Reverence for this land has passed from Riccardo, who blended fruit from the region's best vineyards, to Bruno and Marcello, who purchased Langhe vineyards and began bottling single crus, and finally to Alessandro, who is taking the winery into the 21st century by using natural methods to foster vines that are stronger, healthier, and more in balance with their environment. 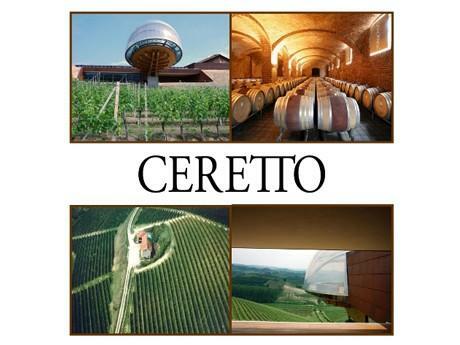 The Ceretto family has always been committed to producing the most expressive and authentic wines their land can yield. James Suckling 91Really attractive dried fruit on the nose of this Barolo, including dried red cherries and dried hibiscus as well as five spices, dried rose petals, wet earth and tea leaves. Medium body, polished tannins and a delicate mouthfeel enhanced by linear acidity.